CRAPTASTIC: Five Feature Friday #14! First off, I want to say HI to all my new followers!! I'm so excited to have you all hanging out here!! I'm going to have an exciting giveaway when I reach 750 followers!! Swoon Worthy refinished this amazing aqua and gold dresser! Isn't her closet drool-worthy? I flipped out when I saw this anthro dresser knock-off from The Real Housewives of Bucks County. It's always fun to see a good knock-off - even better when the knock-off is better than the original! 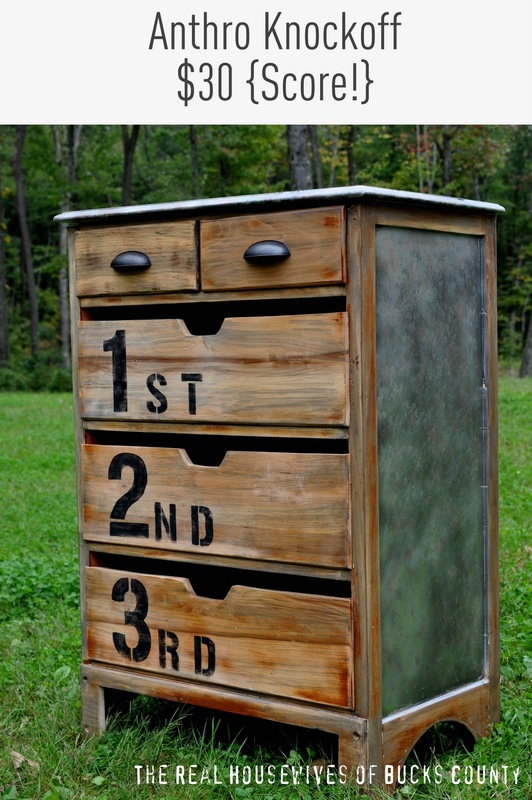 Amy from The Salvage Collection did an amazing job refinishing this little beauty! It's so unique and adorable! She's a hoot too! I wanted to give a special thanks to these next two ladies! They both awarded me with the Versatile Blogger award! Thanks ladies! Ashley from Sew Candid made this wonderful Halloween wreath! This is Halloween done in GREAT style!! 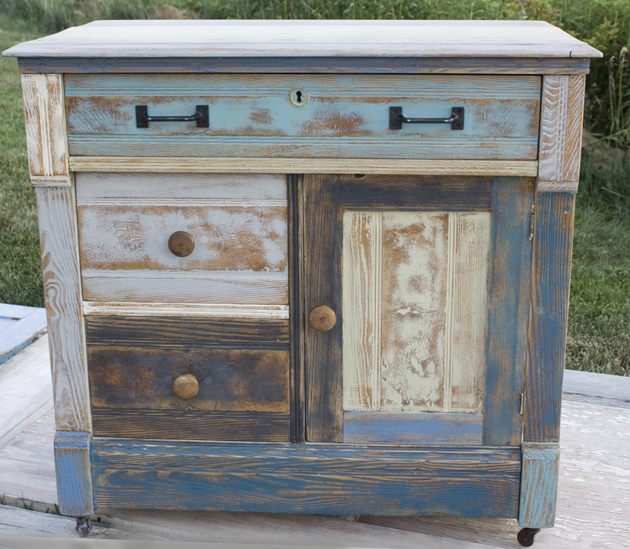 Vanessa over at Turnstyle Vogue refinished this beauty with inspiration from a river photo! Click over and check out her inspiration pick - this piece is appropriately named "Riverbed." these are all awesome features!!! i love amy's and shari's pieces as well as the first two! and of course the wreath is adorable! basically, yes, i love it all! These are awesome!! can't say which I love more...they are all pretty darn amazing!! Thanks so much for the feature! So glad to have come across your blog! We'll definitely be visiting again soon! You're welcome Monica and Jess! You guys did and amazing job! Oh I'm so excited to be featured! Thank you so much Katie! And I'm in very good company as well, how flattering to be featured with all these amazing projects. That anthro knock off is FANTASTIC!! My Swap with Pink Stitches - Part 2! A Chair Fit For A King!